Cheryl Tweedy has returned to work with L'Oreal Paris almost six months after giving birth to her son Bear. Cheryl Tweedy has returned to work with L'Oreal Paris almost six months after giving birth. 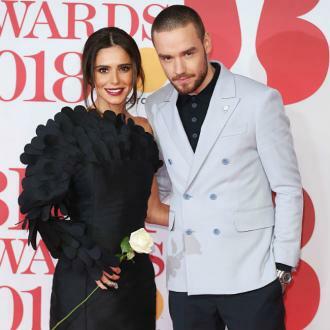 The 34-year-old singer has taken to social media to reveal she is ''back at it'' and is in front of the camera posing for beauty campaigns once again, and the exciting news comes just five months after the brunette beauty gave birth to her first child Bear, who she has with her partner Liam Payne. The former Girls Aloud band member shared a photograph of her on set of the L'Oreal photoshoot, which captured her brunette tresses billowing whilst a hairdryer was being blown in her face. And Cheryl has received the full support of her 23-year-old beau who liked the post. And it has been reported Cheryl is set to be co-creating a make-up collection with the brand, which is set to hit stores in October this year. Cheryl's upcoming beauty range will see a percentage of the profits made from the make-up sales go towards Cheryl's Trust, which is in association with The Prince's Trust. The 'Fight For This Love' hitmaker first joined forces with the cosmetics giant in January 2016, which saw her front the brand's campaigns titled Sculpt and All Worth It. As part of the All Worth It campaign Cheryl worked with L'Oreal Paris and The Prince's Trust to encourage 10,000 people to feel more positive about themselves.